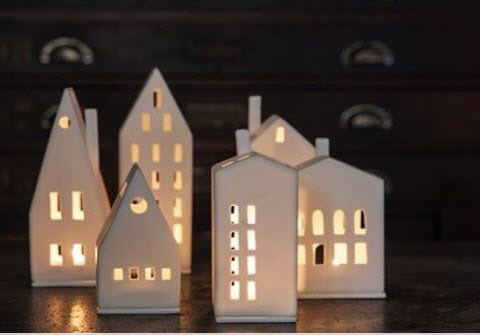 So we thought it would be great to run a feature on brilliant independently owned shops and stores offering fantastic and imaginative Christmas gift ideas right across Surrey! 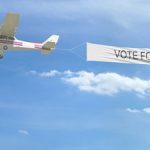 To give it a little bit of a twist we put the word out on our many Surrey based social media channels and asked the Surrey public for their recommendations! The response was incredible and, to cut a long story short, we are delighted to confirm our final ‘Best Independent Shops For Gifts In Surrey’ as chosen by the residents of Surrey! 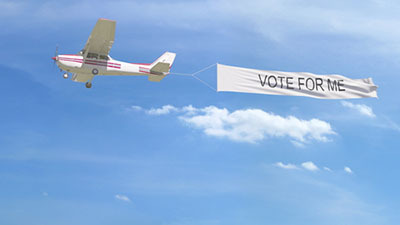 Congratulations to all the winners in the face of very stiff competition! And here they are, in no particular order, our Top Independent Shops For Gifts In Surrey! Pip & Gray are situated at 3 Church Street, a beautiful historic street in Cobham, Surrey. 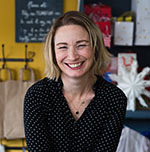 The concept for the shop was created just over three years ago to compliment the Curtain Agency, Curtain Call, which Interior Designer Alicia Wall has run for 9 years. The shop has grown since then from selling homeware to a huge range of gifts and now clothes in a newly build extension to the showroom. Alicia’s expert eye sources unusual and beautiful pieces to dress the shop which has a wonderful atmosphere and the most friendly staff around. Pip & Gray have a huge variety from cards, jewellery, homeware throws, scarves, clothing, mugs, candles, and being dog friendly shop they also have a selection of gifts covering different dog breeds, xmas dog and cat hampers etc. 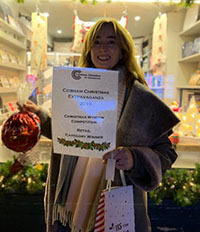 We recently spoke to owner Alicia who was delighted to share with us the news that Pip & Gray had won the best retail window in Cobham from the Cobham Chambers of Commerce and was presented with their prizes at the turning on the lights extravaganza! The shop is open Mondays – Thursday 10 am to 5pm and Friday and Saturdays from 9.30 and Sundays 10.30 am to 4pm. Do pay them a visit soon, they have fantastic ideas for Christmas presents and you can bring your dogs shopping with you too! You can find Bumbles on The Street in Ashtead and inside you will find a treasure trove of gifts for quite literally all occasions! Bumbles are very well stocked with imaginative items for the home (including some wonderful glassware items – the gorgeous glass cheese dome is a personal favourite! ), wellbeing/pamper gifts such as candles and fragrances, gift ideas for him, for her and little ones (I defy you not to coo at the baby fox slippers, gifts for those special occasions as well as a wide range of clothing, accessories, hats, bags and jewellery! “Bumbles is the perfect place to find something different, every item has been personally selected for its quality, design and individuality. We offer a wide range of products that you won’t find on the High Street. Our staff are knowledgeable, friendly and efficient. Bumbles have a great website with detailed product descriptions and clear photographs so if you can’t make it to Ashtead why not take a look! 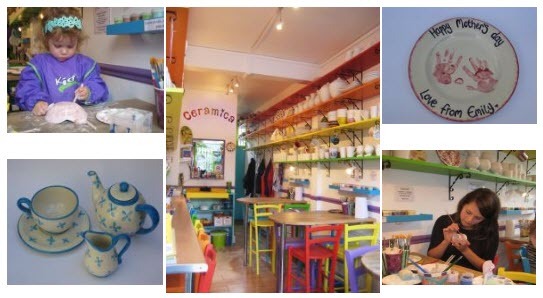 If you’re looking for something to do to wile away a few hours, pop into Ceramica on The Parade in Claygate where you can relax and get creative by painting your own ceramics – its the perfect way to create the perfect gift especially when those paintbrushes are wielded by little hands for the future enjoyment of parents or grandparents! They have a selection of over 100 ceramic pieces for you to choose from – from mugs, plates and bowls to moneyboxes, photo frames and flowerpots! “We will provide all the instruction that you need and we have plenty of samples, stencils and books to give you ideas. Our studio is bright and colourful and designed to inspire even the most unartistic! It really is the ideal place for a creative get-together. 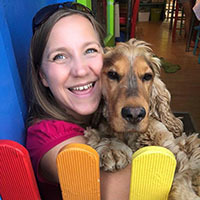 Our services include studio painting sessions; an annual membership scheme; gift vouchers; baby hand and foot print sessions; birthday parties; evening painting sessions for adults; off-site functions; ‘take home’ packs; and commissions. There is a £5.00 studio fee per painter, per visit, which covers the cost of the paint, the glazing and the firing. We aim to cater for all budgets by stocking a variety of items and pieces start from £5.00. Our range of stock is often updated, particularly at seasonal times of the year when we get themed items in. Come and pay us a visit…… set your imagination free and create a work of art! The studio is open Monday – Saturday, 10am – 6pm. Two Ducks are an award-winning independent boutique in St John’s village, Surrey and are the very epitome of a stylish, independent store! With subtle lighting features from Denmark, Plum and Ashby candles and body products, contemporary designer jewellery and our absolute favourite (which we will be buying!) a miniature winter village as pictured below. 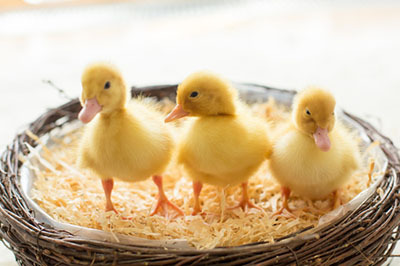 If its unique and stylish you are looking for Two Ducks tick all the boxes – and then some. 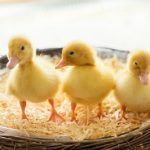 “Two Ducks is a lifestyle store based in the heart of St.John’s village on the outskirts of Woking. We stock unique gifts curated from across the globe including fashion, jewellery, handbags, shoes, gifts, home decor and stationery. We’re really delighted to have been selected as one of the top 20 independent shops in Surrey, particularly as this was picked by your readers! They have also started offering their own label candles and reed diffusers with scents as varied as ‘Parisian Cafe’, ‘Wild Lime and Rose Tea’, ‘Fresh Linen’ ‘Fresh Cut Herbs’ among many others! “The Dinky Dove opened in December 2013 and hasn’t looked back! We have a wide range of gifts and cards for all occasions and Christmas is one of our favourite times of year with a fantastic selection of decorations and festive bits and bobs! The Lemon Tree shops are the perfect place to shop for that unique gift or special treat. A family run business with a reputation for excellent customer service. Shops in Banstead, Cobham, Dorking, Reigate and West Wickham offering unique gifts for all ages and pocket, quality greetings cards, sought after jewellery, fabulous wall art. “The Lemon Tree is a treasure trove of unique and individually picked gifts for all occasions. Sara, the owner and buyer has been inspiring customers for 20 years and testament to this is all our lovely feedback and kind comments we have received. Backed up by our amazing staff, we’re happy to just have a chat and love getting to know and serve our community. We offer free gift wrapping and free local delivery for our larger items. We love you for loving local! Ashton House was opened in November 1974 by Margaret and her sister-in-law Annie as a cookware and gift shop, at their original premises in Hampton Hill. Now situated in Hersham, Ashton House is currently run by Margaret’s daughters Nicola and Debra. Margaret, although now retired is still often in the shop lending a hand! 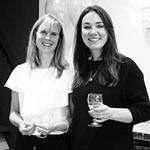 Debra’s daughter Kerry, and Nicola’s daughters Rosie and Polly also work in the business in various capacities, as well as Hilary, who has been with them for over twenty years, and Megan who has been there for six years. “Here at Ashton House, we are lucky enough to be able to provide you with products from some fantastic companies. We deal with some very popular fashion brands including The Masai Clothing Company, Joules, Seasalt and Adini. We deal with a number of different gift and homeware companies, and numerous jewellery companies to ensure we can provide you with something different every time. We often source new ranges, and endeavour to bring you new items all year round, meaning we always have something new for you to look at! Not strictly a gift shop per se but if a fantastic local enterprise offering a wide range of organic products that you could put together for an eco-friendly Christmas hamper for that special person! They store pulses, grains, rices, pastas, nuts, seeds, spices, a dedicated gluten free section, fresh bread, organic fruit, vegetables and herbs. 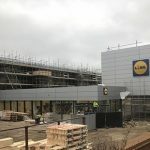 “We are providing our communities with a place to shop differently. 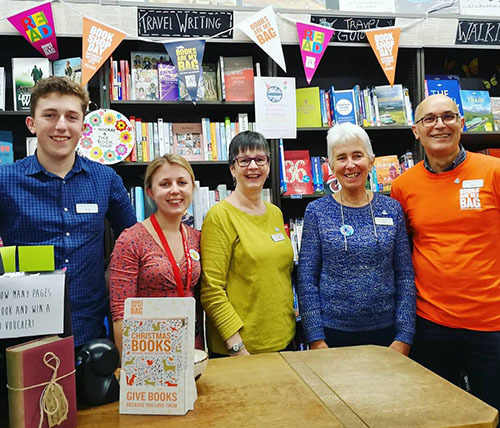 I’m a bit biased here as I believe every community should have an independent bookshop run by people passionate about books. 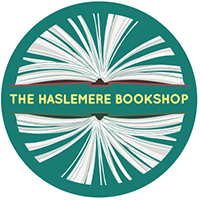 Put down your Kindle, log off of Amazon and please do pop by The Haslemere Bookshop on The Causeway in Haslemere – I have no doubt that you will end up leaving with an absolute gem that you would never have previously thought of! 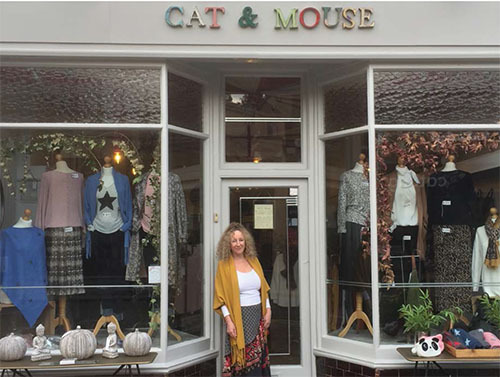 Cat & Mouse Boutique has traded in Claygate for nine years. Run by Gary and Mary, it sells good quality seasonal women’s clothes, jewellery, accessories, gifts and cards at excellent value prices. Cat & Mouse sell online at www.catandmouse.boutique too. Claygate is a pretty village, which has a wonderfully diverse selection of fifty mainly independent shops, salons, cafes and pubs. The shops are just outside Claygate Station with plenty of parking. We have (deep breaths) the full route of the fantastic and much loved Walton Rotary Club Father Christmas Sleigh! 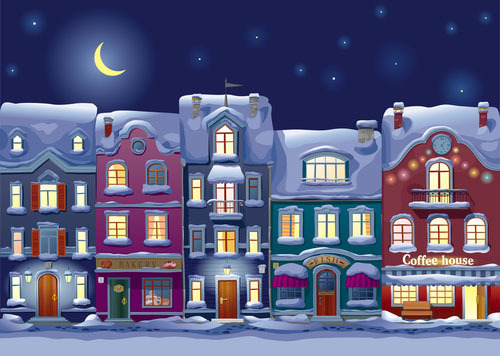 Wherever you live in this wonderful county of ours wrap up warm and get yourself out and about to one of the many Christmas Fairs and Markets going on locally. There are plenty of Christmas events being run by local school’s as well as Christmas Fairs and Markets from Ashtead to Oxted, Weybridge to Dorking and, of course, our very own Hersham Village Fair…. Launched in 2003 Bluebell 33 is a ‘Wonderfully British’ design business born & being raised in Great Britain. 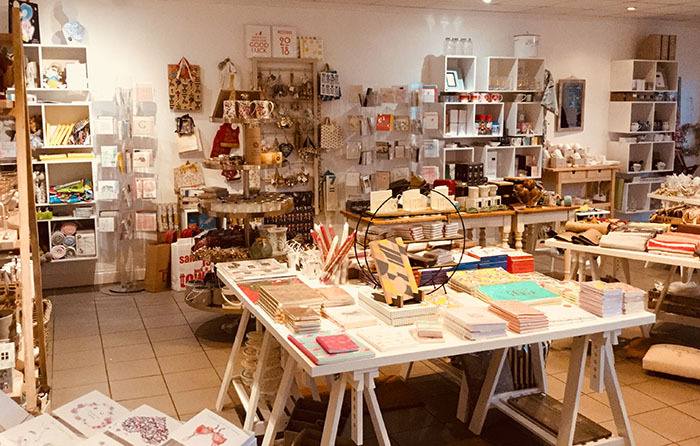 Bluebell 33 offer a wide range of cards, stationary and giftware as well as specialising in location specific gifts in there ‘Love Where You Live’ range. “We take pride in using the finest quality materials and are passionate about making everything, where we can find it, in Britain. 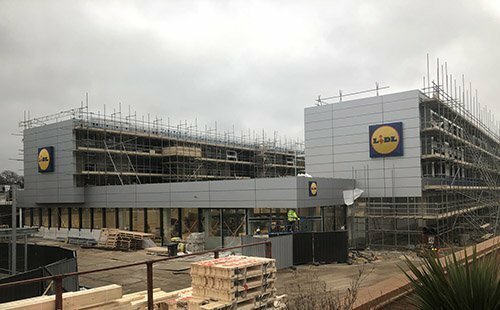 We work with some brilliant UK based manufacturers & suppliers and have also recently set up our own manufacturing facility in the Essex countryside. Clova are a fashion and accessories store that also supply school uniform, dance and ballet wear – the perfect gifts for nieces or god daughters! We now stock about 2,000 bolts of fabrics. We have hundreds of books, notions and all sorts of tempting goodies to make quilts. We also stock beads, buttons, wool felt, ribbons among other things. Our usual opening hours are Monday to Saturday 10am til 5pm and Sunday 12noon til 4pm. Evie loves Toast was first opened in Cobham High Street, Surrey in March 2010 by a mother and two daughters. Since then, it has become one of the most popular stores in the busy high street attracting many loyal customers. Following this success a sister store in Wimbledon Village was opened in April 2015. Selling British and Scandinavian brands of contemporary clothing, jewellery and accessories. A luxurious and personable British jewellery Brand, founded in 2010, Joulberry opened its first Boutique in 2014. Designing and creating elegant jewellery, Joulberry’s pieces are renowned for their timeless elegance, understated beauty and distinctive design, each piece speaking thousands of words. From Joulberry’s signature sphere designs in gold to scrolls in sterling silver, fine diamonds set in rose gold to precious stones earrings and beautiful personalised creations using quality pearls to augment the collection. “The Joulberry experience is rather a special one. The attention to detail is evident from the first Joulberry design sketches, the visual and verbal communication, to the finished British crafted and packaged piece. The Rotary Club Santa Sleigh Tour!